I remember that it was in college when I first made something like this after having tried it at a friend's house. 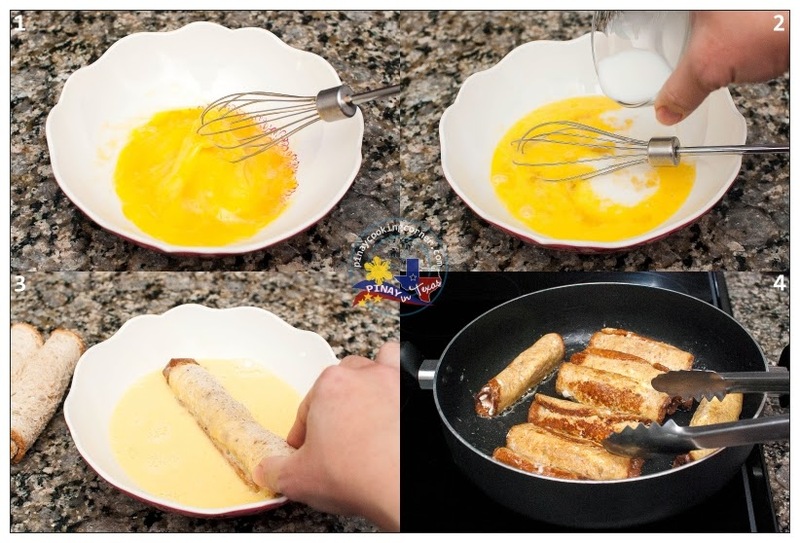 I used to call it cheese rolls, hotdog rolls or luncheon meat rolls depending on the filling I used, which most of the time was MaLing luncheon meat, Purefoods hotdog or Eden cheese. 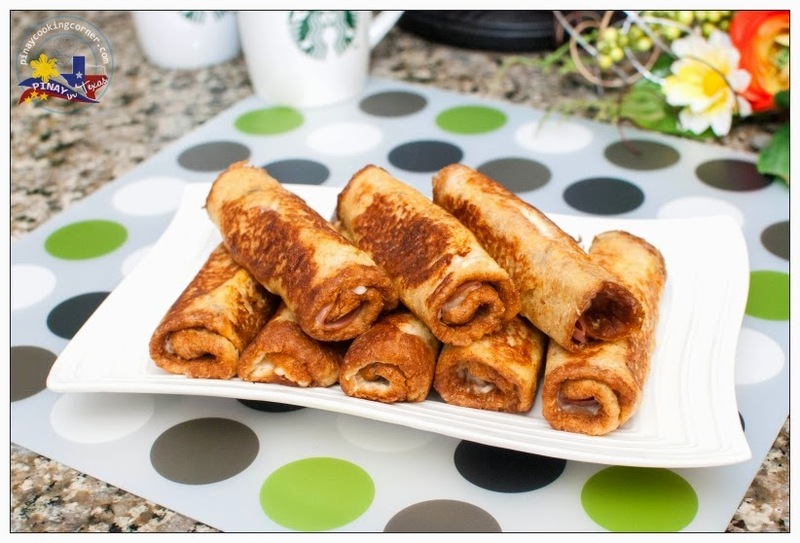 When we got to the US, I learned that French Toast Roll-Ups is how these scrumptious rolls are called! I also learned that you can fill it with other stuff like fruits, cream cheese, peanut butter, Nutella and whatever filling you could think of! The possibility is truly endless! I remember one time when I made this with Mozarella sticks and dredge it in bread crumbs before frying...oh my, the girls really loved that! 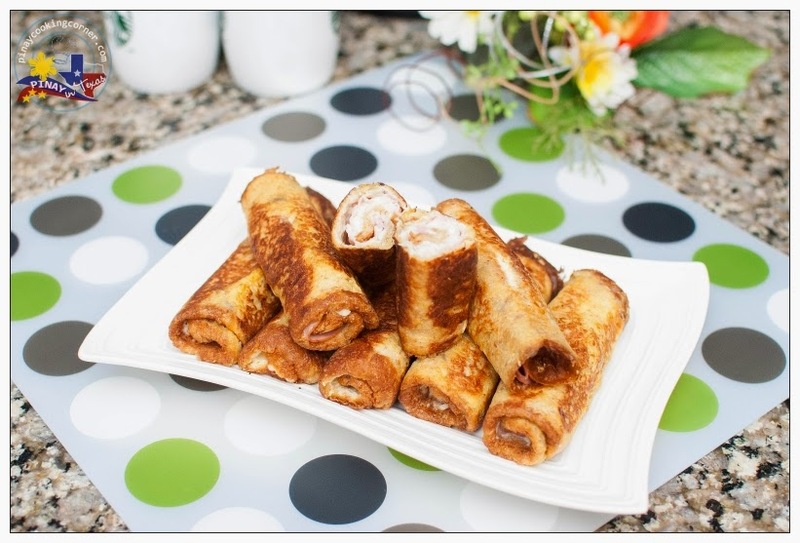 But their favorite version is this one that I am sharing with you today...the one with cream cheese, ham and shredded Mozzarella cheese for filling. 1. Flatten each slice of bread with a rolling pin. 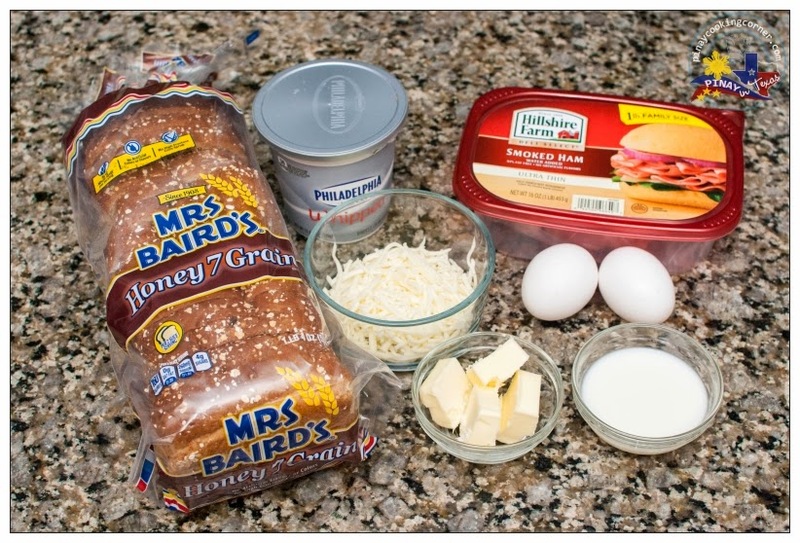 Place about a tablespoon of cream cheese on each slice of bread. 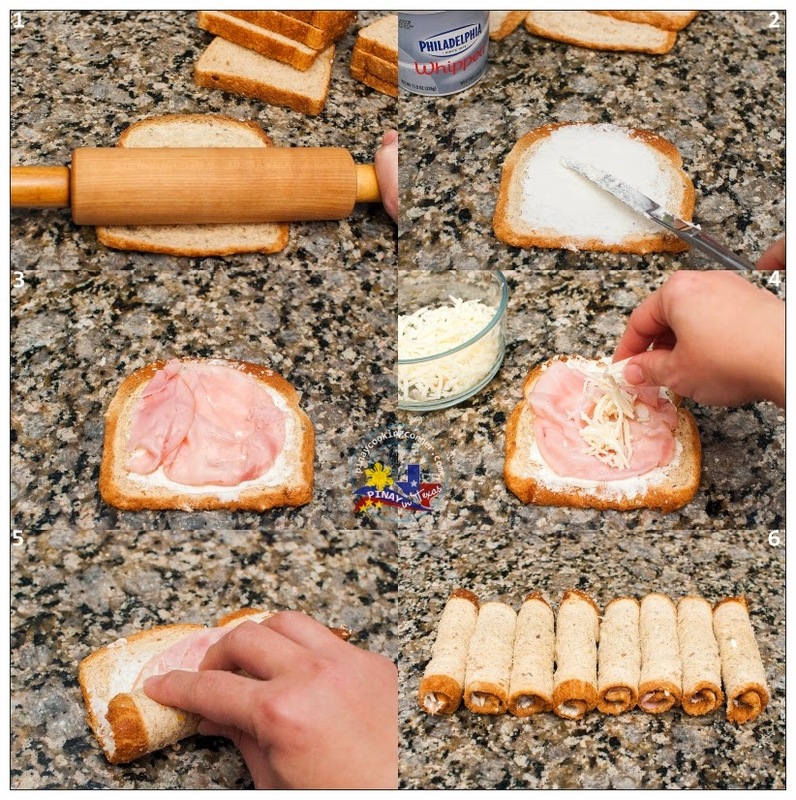 Top with ham and then with a tablespoon of Mozzarella cheese. Roll the bread up and repeat until all the slices of bread are filled. 2. In a bowl, whisk the eggs and milk until well combined. In a skillet over medium heat, melt butter. Dip the rolls to the egg turning to coat on all sides then place them in the pan seam side down. Cook until golden brown on all sides. Serve warm with you favorite drink! This is a great a idea! Thanks for sharing! Will definitely try this. This is really awesome and easy to do. I'll make one this weekend. Thanks for sharing.